Another reason could be combustion gas leaks or some other disturbance in the system, which may put the other parts of the house at risk. While leakage is not apparent as the boilers continue to function, it can be determined by searching for accumulated deposits like coloured mineral salts or surface stains. Rust, though acceptable in small amounts, will have to be cleaned to avoid more leaks over time. 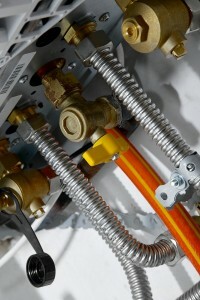 For boilers with disturbing noises, a possible cause could be the improper distribution of heat. Have licensed London boiler installers like LB Plumbing & Heating check the machine as soon as possible as this may cause carbon monoxide poisoning, among other things. The same thing goes for signs of smoke discharge.